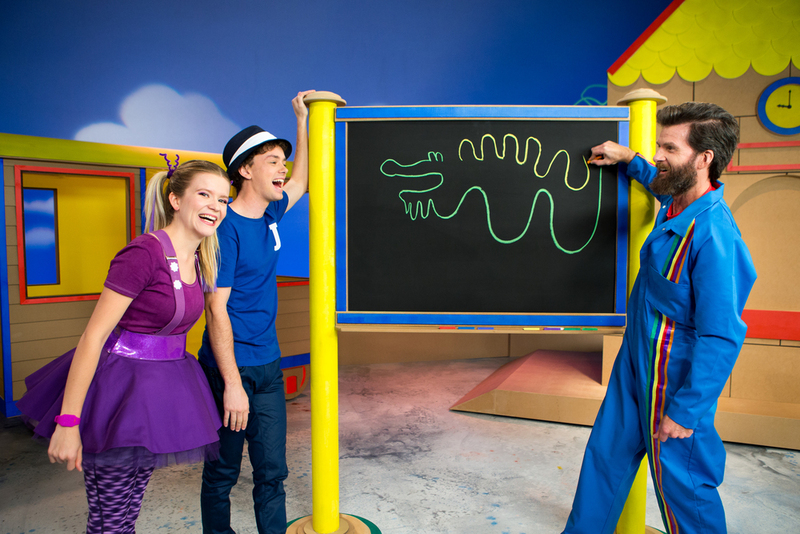 Imagination Train is the ultimate creative playhouse where adventures come alive as our imaginations run wild. Imagination Train delivers the audience a truly creative and stimulating experience through its use of language, imaginative storytelling, cognitive and physical activities as well as slapstick humour, singing, dancing and tactile instructional craft segments. We understand that pre-schoolers want to understand and engage with themes and concepts through repetition of ideas, familiar and respectful interaction via hosts and talent; along with bright, colourful and fantastical set and graphic design. This series is focused on providing the audience with a stimulating, entertaining and inspiring experience as it unwraps simple concepts in a structured and creative way. The philosophy behind this unique show for pre-schoolers is to encourage the use of their imagination and provide a platform that allows each child the freedom to bring their own thought processes and experiences as they engage wholeheartedly with the tailor made show. Imagine and Draw takes the basic building blocks that our world is made out of, breaks it down and finds new relationships the foundation of creating the world’s great thinkers. Imagination Creation builds each child’s confidence in its own uniqueness. Instead of making a static craft that is prescriptive in nature our artist and two hosts make the same craft in form but twist it and add to their own touch to make it something special that represents their own view of the world. Imaginative Play builds on both these former segments to put what has been learnt into practice as the hosts take the craft and play with the children in exciting, imaginative play.